Bob Parson was the founder of the GoDaddy. He was CEO of company till 2011. Now Blake Irving is the CEO of GoDaddy. Bob Parson is award wining business leader. He founded Domain registrara and web hosting company GoDaddy in 1997. He became the CEO and remain CEO of GoDaddy till 2011. In 2007, Bob Parson was selected as Business Leader of the year. In 2008, Parson was rewarded with honorary doctorate by the University of Baltimore. In 2010, the University of Baltimore honored Bob Parson as distinguished entrepreneur. 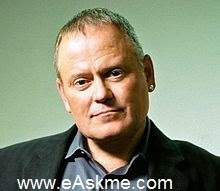 Bob Parsons has started first software company called Parsons Technology, in 1984. In 1994 he sold Parsons Technology to Intuit for $64 million. Then he starter Jomax Technology. In 1999 Jomax was renamed as GoDaddy. From November 2010 to 2011 Parsons was the CEO and founder of Go Daddy Group Inc.